Well, this is it. The final day of our 12 Modern Lamps of Christmas. It was really a lot of fun compiling all these great lighting finds that also make outstanding presents. For those of you who have followed along with this list since it began on the 1st, thanks! For those of you who are just joining us, welcome. Be sure to start at the beginning to read a little more about how this list was compiled. And, of course, feel free to browse through the rest of the days for some truly inspiring and gift-worthy lighting for Christmas or any other time of the year. Sorry, drifted off there for a second. 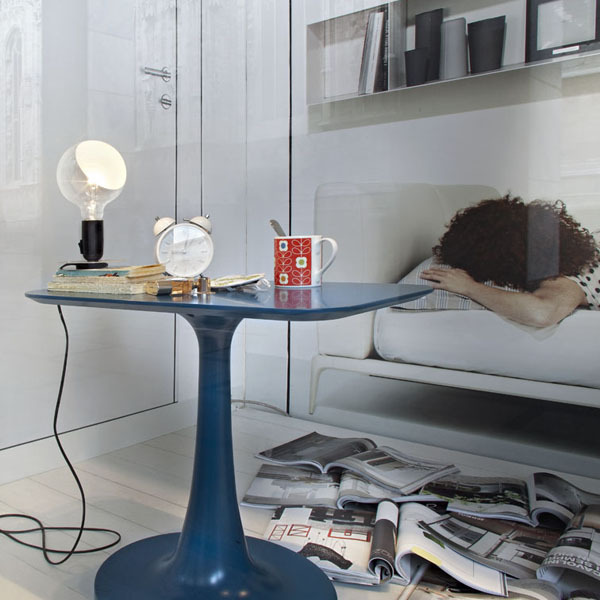 The genius of the Lampadina design lies in its apparent simplicity: a bare bulb in a simple socket. But there’s quite a bit more going on upon further inspection. That globe-shaped bulb is actually partially sand-blasted for diffused or direct light depending on how you have it turned. The control switch is within easy reach on that simple socket. And the round base also acts as a cord winder for the storage of any excess power cord. 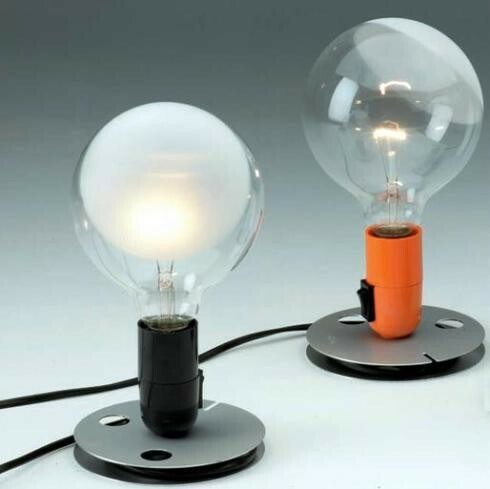 Lampadina comes with either a black or orange Bakelite socket (which, coincidentally, matches up perfectly with Pantone’s color of the year for 2012). The overall effect is clean and charmingly industrial-looking lighting, great for providing ambient light in the living room or reading light in the bedroom. All-in-all, Lampadina has all the cool style and function you’ll needed to satisfy any modern lighting lover on your list.